If your device is undergoing severe driver performance issues after upgrading to Windows 10, then you might want to read our suggestions in this post. Here, we are going to share some useful tips that you might find of help in fixing drivers related problems on Windows 10 PC desktop and laptop. This issue particularly impacts devices that are upgraded from an older Windows version to the latest Windows 10. Upgrading to Windows 10 on a device with older drivers and hardware could result in drivers issues. So, if you are wondering what to do to fix drivers issue in Windows 10 or Windows 8, Windows 8.1, keep on reading as we are going to share some useful information in this regard. If you have upgraded PC to Windows 10 but find drivers on your device not working properly after the upgrade, then read the instructions here to fix driver issues in Windows 10. Microsoft allowed users of older Windows 7, Windows 8/8.1 operating system to upgrade to Windows 10 for free when it launched its latest OS back in 2015. Many rushed to take advanced of the offer of a free Windows 10 upgrades not knowing that it may result in some drivers to stop working properly if they are not updated or compatible with Windows 10. Although, Windows 10 does a good job of automatically managing all drivers issues, but you cannot entirely rule out the possibility of drivers issues occurring after the upgrade. The instructions in this guide will be useful for the users of Dell, HP, Lenovo, Samsung, Compaq, Acer, and other popular PC brands to address graphics, sounds, video, trackpad, printer, and similar other driver issues in Windows 10. Driver issues on PC are common when upgrading from one operating system to another. If you recently upgraded your desktop PC or laptop to Windows 10, then keep on reading to know how to fix driver issues on Windows 10. 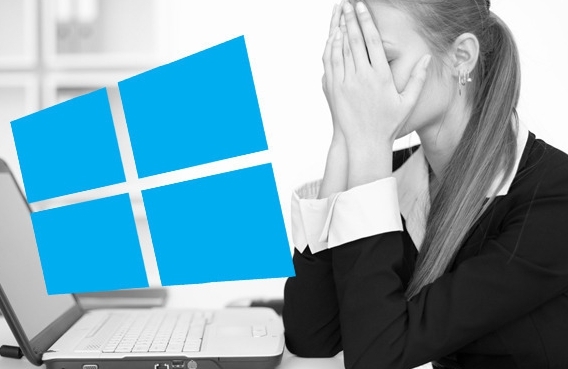 Windows driver issues are unfortunately a common feature of upgrading Windows OS. The reason being as the Windows OS is used on devices from different manufacturers who use different architecture and tools to design device hardware and drivers, Windows may require manual tuning of hardware drivers to get drivers working properly on different PC brands. Windows graphics card issue also common because laptop GUI fall under the purview of individual vendors for issuing driver update, something which is not the case when it comes to desktop graphics cards. So when a new model of a laptop is launched, vendor stops issuing driver updates for the older model, or issue them less frequently. This happens often in case of NVIDIA and AMD graphics processing unit updates. Luckily, there are ways you can use to hoodwink hardware driver installer to make it work on devices with older hardware if you are planning to upgrade them to Windows 10. For such driver related issues on Windows, there are plenty of useful forums available on the internet that offer bunch load of useful information for addressing all sorts of Windows driver issues after upgrading. One such forum that you might find useful is the forums.laptopvideo2go.com that contains guidance on resolving drive issues on different laptop brands of varying hardware specs. You can also visit Microsoft’ official Windows Update site to find fix drivers. Properly working drivers are essential for smooth gaming experience on Windows desktop PC or laptop. Make sure that all drivers are in tiptop condition before the release of much anticipated Windows Game Mode in the upcoming major update release in April. To send your questions regarding driver issues on Windows device, contact us via comments section below.